This V Shaped Face Chainmail Coif is constructed with 16 gauge round mild steel butted rings with an internal diameter of 9.5mm. The rings have a blackened finish. 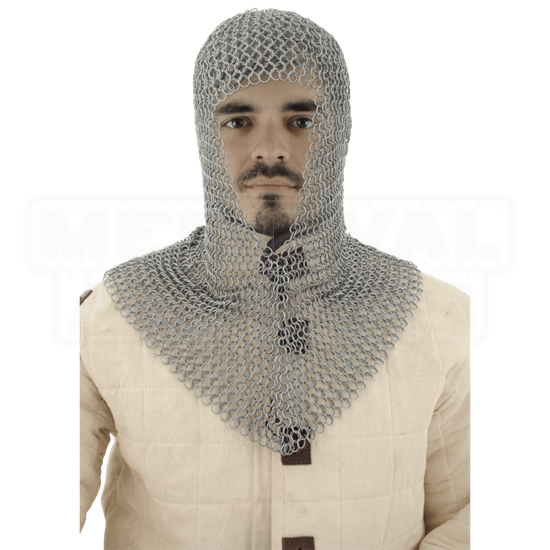 This chainmail coif provides a comfortable, authentic appearance for any medieval outfit. This is the most economical construction style of maille, as the cost of labor-intensive riveting is avoided. 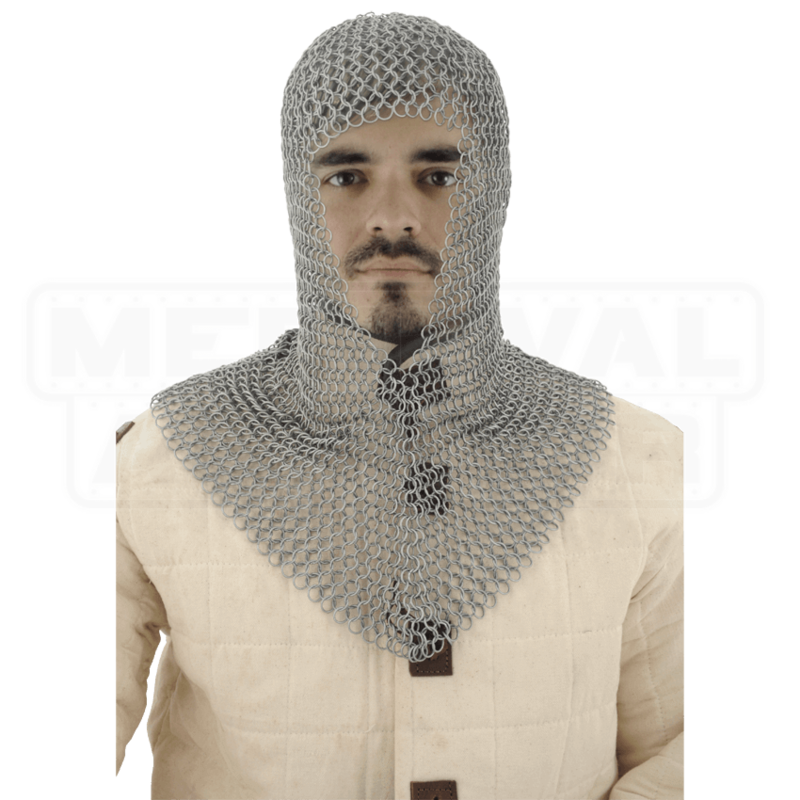 Butted maille has limited historical precedent but is fine for general costuming and role-playing where strict construction authenticity is not a requirement. It is not recommended for weapons-contact re-enactment. Matching chainmail shirts for this coif are AB2780, AB2789 and AB2798. Construction is in the 4 in 1 pattern.